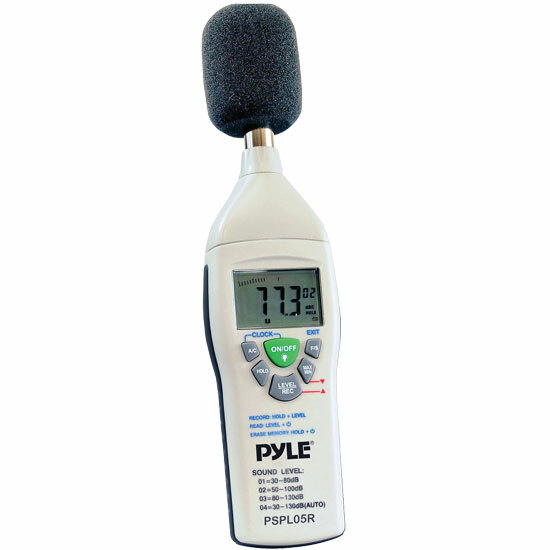 This sound meter measures from 30 to 130 dB with an accuracy of 1.4 dB. It uses a 0.5" electret condenser microphone for accurate sound measuring. The digital display offers 0.1 dB sound resolution with both fast and slow time weighting. Choose A-type or C-type frequency weighting. Recording function stores up to 50 data sets. Includes microphone wind screen and a 9 V battery for up to 50 hours of battery life. Review : I would buy this unit from you again!!! Excellent product!! !